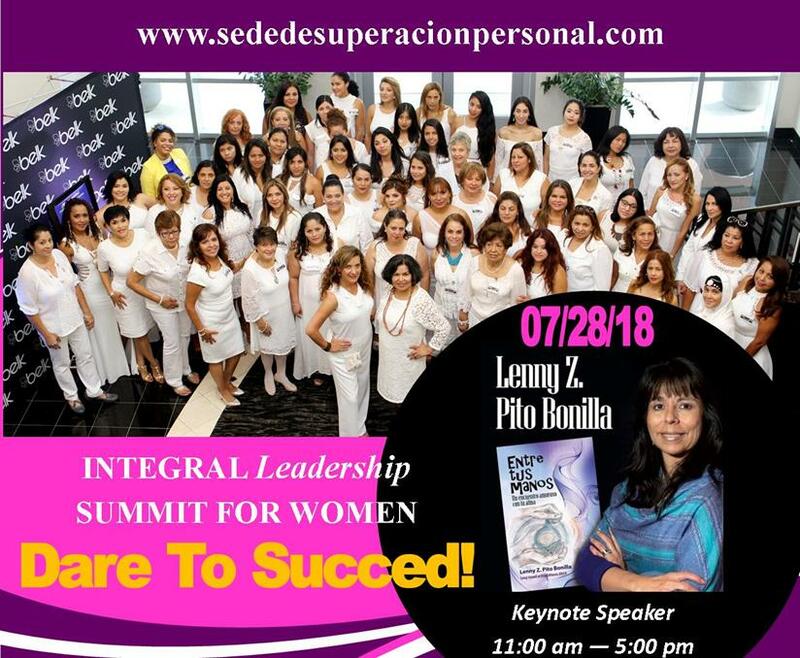 The Center for Personal Development., (SSP - Sede de Superación Personal, LLC) is pleased to present the V Integral Leadership Summit for Women. 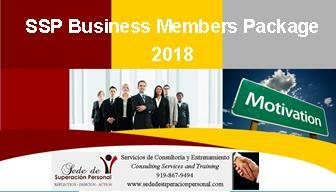 It will be held Saturday, July 28, 2018, at the luxurious One Renaissance Center, 3301 Benson Drive, Raleigh, NC 27609. The Keynote Speaker, Lenny Z. Bonilla, Psychologist and author will address the audience with a message of encouragement " Dare To Succeed! and through their example, Latinas in our community so that together with " La Vida Entre Sus Manos" they can integrate 5 comprehensive leadership practices in their lives. A panel of outstanding Latinas will boost your dreams and leadership by sharing their experiences and challenges they have had to face to achieve their goals and objectives. Plan and visualize yourself by sharing with other women from your community while enjoying a day filled with information, training, prizes, a fashion show, and the Business Expo. Share with women in your community and get ready to receive training and knowledge. 1:30 pm - Mi Legacy to Women! 2:00 pm - ¡Voices of Women Leader! At The Personal Development Center (SSP), we are pleased to cordially invite you to become an active member of SSP Annual Calendar of Events 2018. Community development can be defined as the economic value that comes from small, concentrated, cultural nucleus; whether from the family, or from local companies/small businesses, grass-roots organizations and Latino Business Leaders. Taking in consideration this fact, the option for support between entrepreneurs and community leaders can result in a high social impact that will improve the quality of life in NC, build stronger business, various communities, and simultaneously provide greater visibility. At SSP we offer workshops, seminars and training programs to help individuals, entrepreneurs, and their team to achieves personal and professional excellence. We are extremely proud of our business celebrating our 7th year anniversary. Since 2010 our conference and training development has helped entrepreneurs to empower their careers and connect them with new customers. SSP received The Business Award in 2013 from Diamante Inc., for our achievements and services and Leadership Excellence Award from LNCTV in 2017. See why you need to be one of our SSP active members. Attached is the package of information with the SSP Approach for our members success, along with different "Package Levels for Business Memberships" that are available for your organization. We anticipate that more than 400 community and business leaders will be attending our conferences, workshops, business expo, and fashion shows. More than 1 million Latinos will listen about our educational programs through TV and radio.